I am back from my mini trip to London, slightly more impoverished than when I left! It was beautiful, better than I could have expected. The opening of Other People's Houses was wonderful, the weather was incredible, and the food was consistently delicious. I'm picking up four rolls of developed film tonight and will have more to share soon. Thank you to Katie and Tara for posting here while I was away. For now I am delighted to share these pictures that Anja took for Megan's Summerland shop. 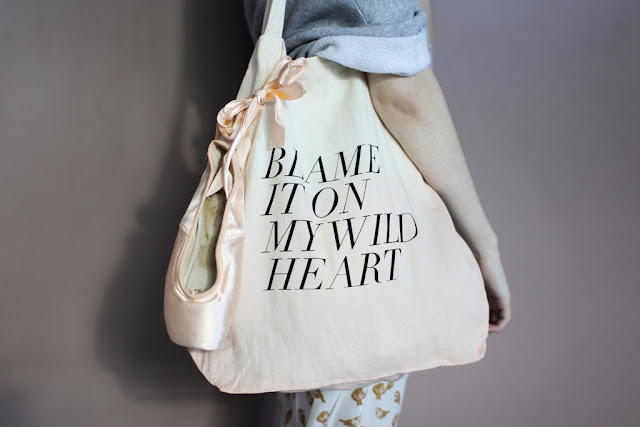 The tote bag below is one that has been a few months in the works, based on Stevie Nicks' "Wild Heart" (I was glad when Megan chose that line because of the video of Stevie singing it backstage, which still gives me goosebumps). This tote will be available exclusively through Summerland and while it is quite possibly the last lyric tote bag we will make, it's also my favourite one yet. It will be available soon! These ladies made magic together! I am in awe of these pictures. I know they've been making their way around but I can't get enough of them. Kate: Didn't even use it! Sheesh. Celine, Elena, leilani.e, If Jane, Sarah, Lisa, Lexie, Little Boat, hila, avalonne hall, Kennedy: Thank you all for your sweet wishes! elle :: everything reminds me of you: It was so, so lovely to meet you! neonfoxtongue: Oh dear. I didn't realize people still used that slang! I thought it was just a funny cultural curiosity. Marie Bee: Aw, sadface indeed. yes, that video is too beautiful. i think i shall have to have this tote to remind me of that. ohmagah. seriously brilliant. the totes work perfectly in this shoot. simply stunning! Love the new tote, and this shoot is fantastic! It totally your style. Congratulations. These are stunning. What a great collaboration and I'm so happy for you. Your work looks amazing in those photos! When I order your new tote bag, instead of mailing it to me - can we meet for coffee or a drink at The Common? I can't tell you how much I love this anabela! 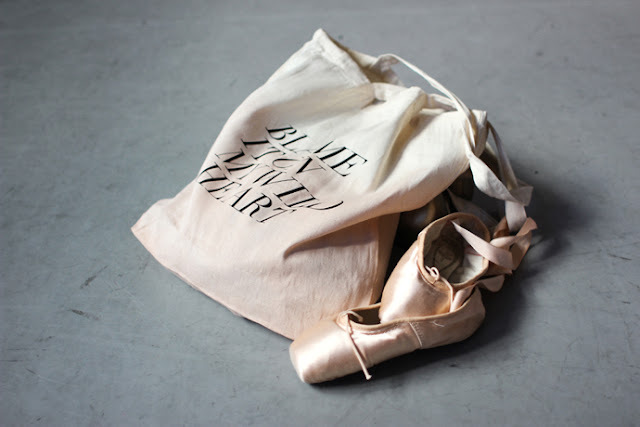 ballet and lovely clothes and of course, your lovely tote - just beautiful. and most importantly, welcome back! Ahh everything here is so beautiful. lovely! when will they be available for purchase? that video is one of my favorite things ever! what a great lyric for your tote collection! me too, me too! I'm loving these images and think Anja should be blowing up as a photographer!! great tote! have you heard this? abe vigoda does a pretty righteous version of the great stevie's "wild heart". lovely! I love that line. maybe I'll pick one up when you have them so my thunder in our hearts tote has a friend. OH goodness - could these be any more perfect? I adore the dip-dye look. The collaboration with Anja is bang on, you guys have such complimentary aesthetics. Ohhh I'm gushing. Oh wow. I love the dance pictures! Beautiful! Follow me on my blog too!